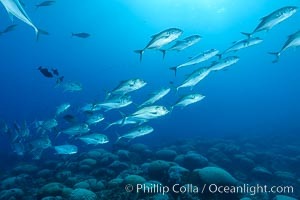 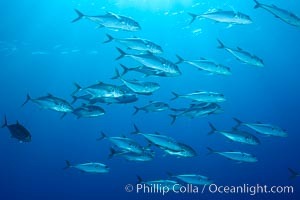 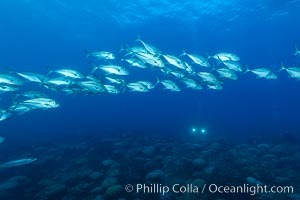 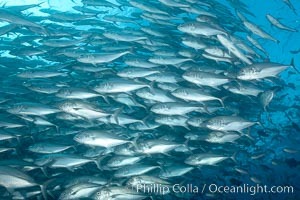 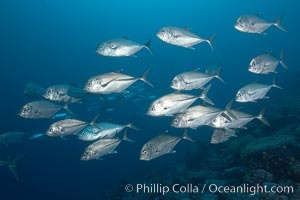 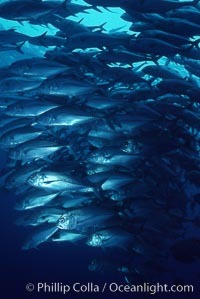 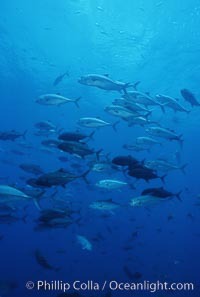 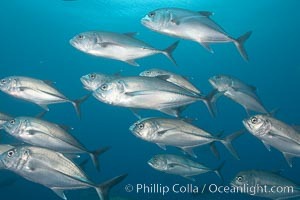 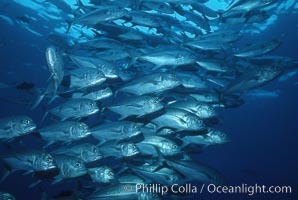 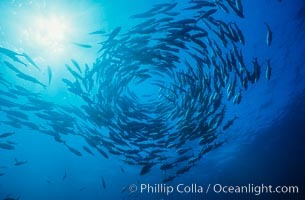 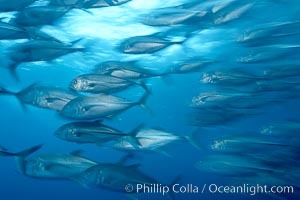 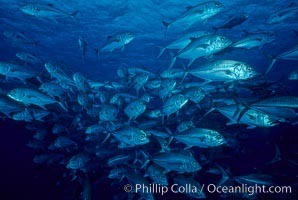 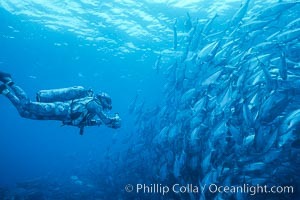 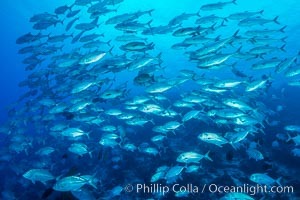 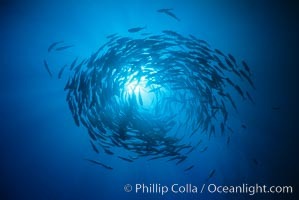 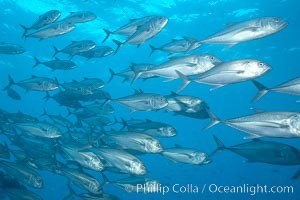 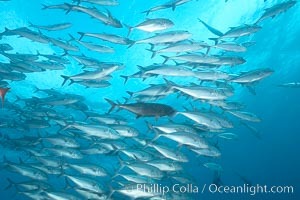 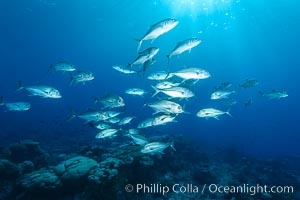 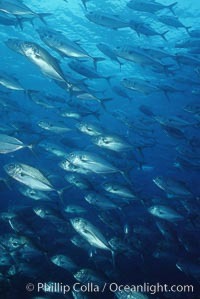 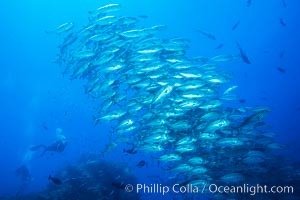 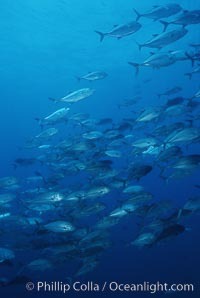 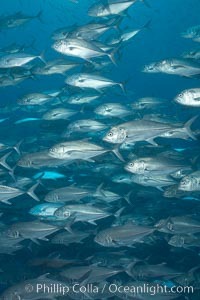 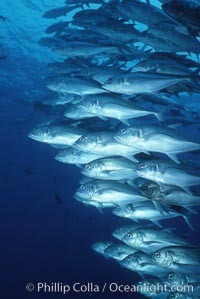 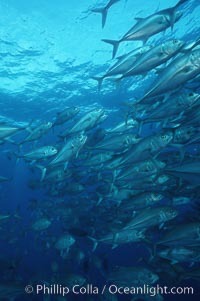 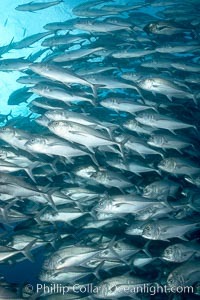 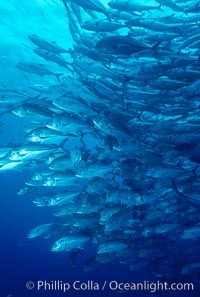 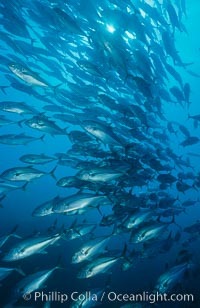 Bigeye Trevally Jacks, Schooling, Fiji. 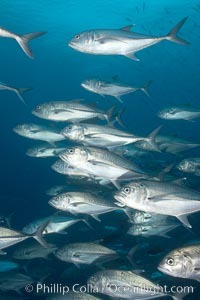 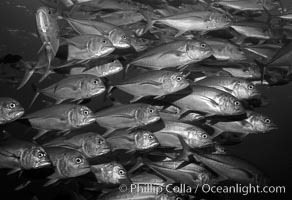 Bigeye Trevally, Bigeye Jacks, Caranx sexfasciatus, Clipperton Island. 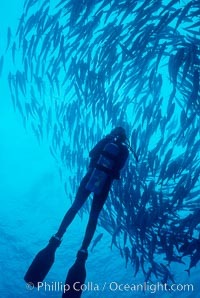 Jacks, videographer Dr. Harrison Stubbs.